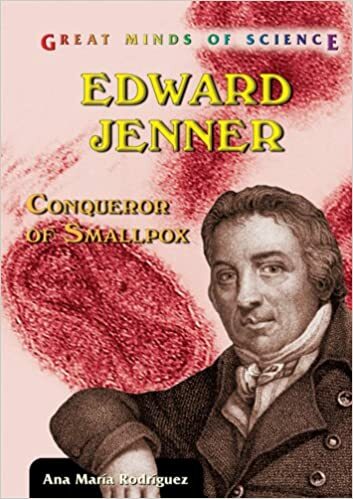 Edward Jenner (17 May 1749 – 26 January 1823) was an English doctor who helped create and popularise a vaccination for smallpox. Through his pioneering work, he helped save the lives of countless people, and over time became known as the ‘father of immunology’ and later vaccinations. In 1773, Jenner returned to his native Berkeley to become a general practitioner. In his spare time, he pursued his study of native wildlife and also followed any new developments in medical science. During the late eighteenth-century, one of the most feared diseases was smallpox. The disease was common and killed up to 33% of those who contracted it. At the time, there was little-known treatments or vaccinations that could prevent it. Jenner was interested in the observation that milkmaids who were in close contact with cows, very rarely contacted the disease. With this revelation, Jenner was interested in testing a theory that inoculating humans with a strain of the cowpox virus could protect them from smallpox – through the immunity gained from the similar, but much less dangerous, cowpox strain. This practice of using a cowpox virus had been tried on the odd occasions before, for example, farmers such as Benjamin Jesty had deliberately arranged a cowpox infection for their family. However, these unofficial tests had not proved anything to a sceptical medical, scientific community. To Jenner, this immunity to Variolation was proof that the cowpox inoculation gave immunity from smallpox. Thus, Jenner had provided a relatively safe way to immunise people from the deadly smallpox virus. Jenner went on to test in theory on a further 23 subjects – all of whom gave the same results. After some delay, his research was published by the Royal Society to a mixture of scepticism and interest. After this, Jenner gave up his medical practice and devoted himself full time to immunisation work. He was given a grant from Parliament to support him in his work. This involved setting up the Jennerian Institution – a society concerned with promoting vaccination to eradicate smallpox. Jenner’s work would eventually be proved successful; in 1840, 17 years after Jenner’s death, the British government in an act of Parliament, banned the use of variolation and provided the cowpox inoculation free of charge. By 1979, the World Health Organisation (WHO) had declared smallpox extinct – a remarkable achievement of which Jenner’s ground-breaking work on immunisation played a key role. His reputation led to his appointment as a physician extraordinary to King George IV and was made a Justice of the Peace. He died on 25 January 1823, after a stroke from which he never recovered. It is said, through his work on vaccinations, Jenner saved the lives of more people than anyone else. Citation: Pettinger, Tejvan. 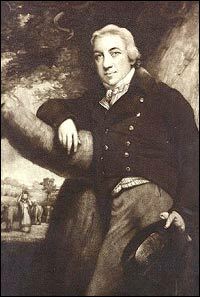 “Biography of Edward Jenner “, Oxford, www.biographyonline.net 23rd May 2011. Updated 3 February 2018. His treatments were sometimes initially laughed at. In 1802, a cartoon showed people with cow’s heads, after Jenner had vaccinated them! In 1980 (nearly 200 years after Jenner first discovered vaccine) the World Health Organisation declared that smallpox had finally been eradicated from the world, though some samples were kept under laboratory conditions. Jenner was keen on fossil collecting and horticulture. In 1805 he was presented with the “Freedom of the City” for the discovery of the vaccination from the Lord Mayor and Corporation of London. In 1821, he was appointed Physician Extraordinary to King George IV. He was fascinated with wildlife and birds, and in the last year of his life, presented a paper on the “Observations on the Migration of Birds” to the Royal Society.